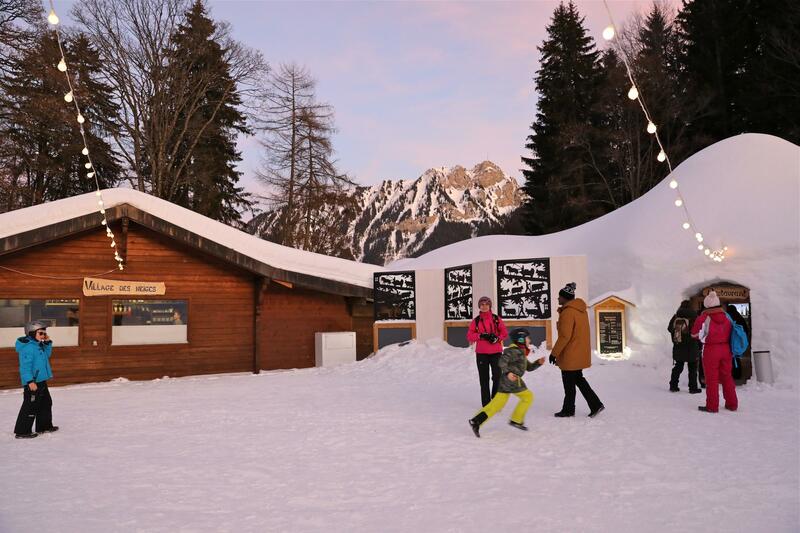 Although the temperature drops a bit when you go into the igloos in the Leysin Snow Village, you’re quickly warmed up by the beautiful Scandinavian style decor, cosy blankets and appetising food. The igloos in the Snow Village are built every winter by the Tobogganing Park’s designers – with the exception of the Finnish Yurt where you can sample delicious Finnish dishes like wapiti meat or salmon Scandinavian style. The Igloo-Bar waiting area is linked to all the other ice spheres where individuals and groups can enjoy starter boards or the famous typically Swiss fondue. Delicious meals in an original setting: a great way to surprise your guests for a get-together with friends or a company night out! Original and inspiring, one of the igloos houses an Ice Chapel where a service is performed every Sunday.